Back with another entry on my Invisalign update today after a short hiatus! Come to think of it, it’s been 8 months since I first started on Invisalign - time really flies doesn’t it? 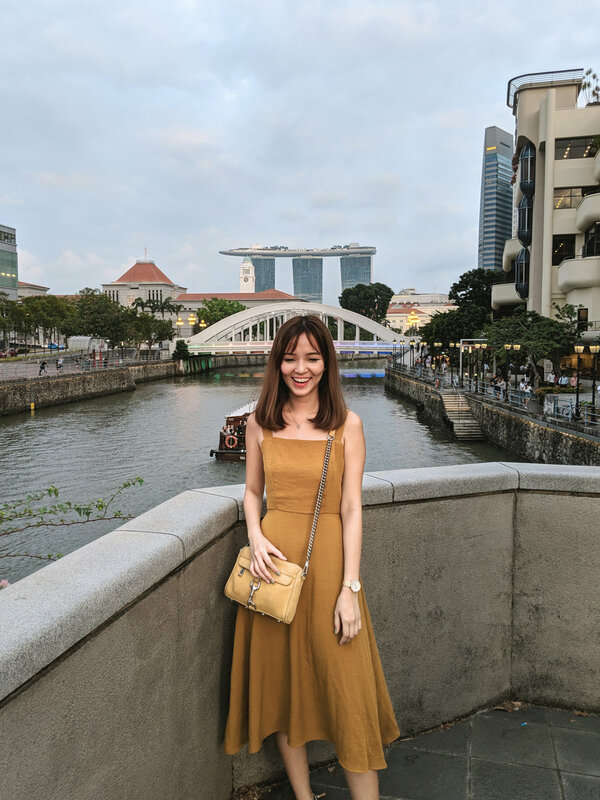 Previously, I’ve shared on my initial journey with Invisalign and if you haven’t read it, you can check it out here: Hello, Invisalign! It’s been 8 months since I wore my first set of aligners and I’m now at Set 14! To be honest, I haven’t really felt much changes in terms of my lifestyle - in a sense that I still eat and drink normally without any restrictions at all. Frankly, there wasn't much work and pain to it (compared to those metal braces where you have to visit every two weeks to tighten, adjust and wear rubber bands, bite plates etc). I have seen SO MUCH improvement in the alignment of my teeth - it’s pretty mind-blowing! I’m currently doing my Invisalign with i.Dental, the flagship clinic for Invisalign in Southeast Asia! 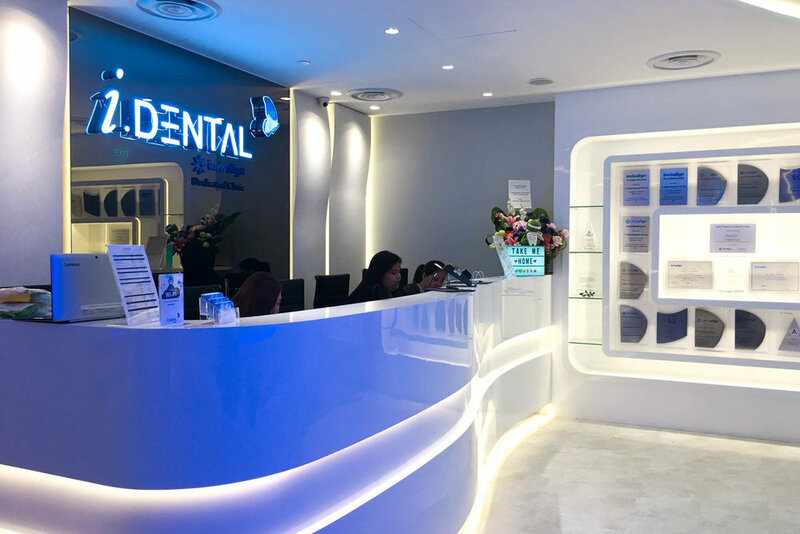 They’re also the first and only ‘Invisalign Blue Diamond Provider’ in Singapore, which is the highest accolade awarded by Align Tech, the makers of Invisalign. As a patient, this is reassuring for me because I know their dentists definitely have ample experience in Invisalign treatment and have the most advanced technology to give me the best treatment possible. 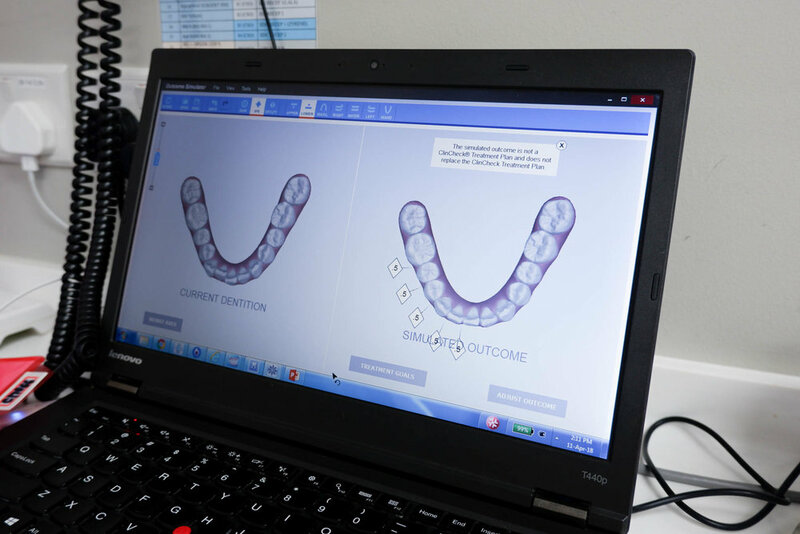 Every visit to i.Dental has been a breeze, compromising of cleaning, fitting of my Invisalign aligners, seeing my progress (as shown on the screen like above!) and collecting new sets of aligners! 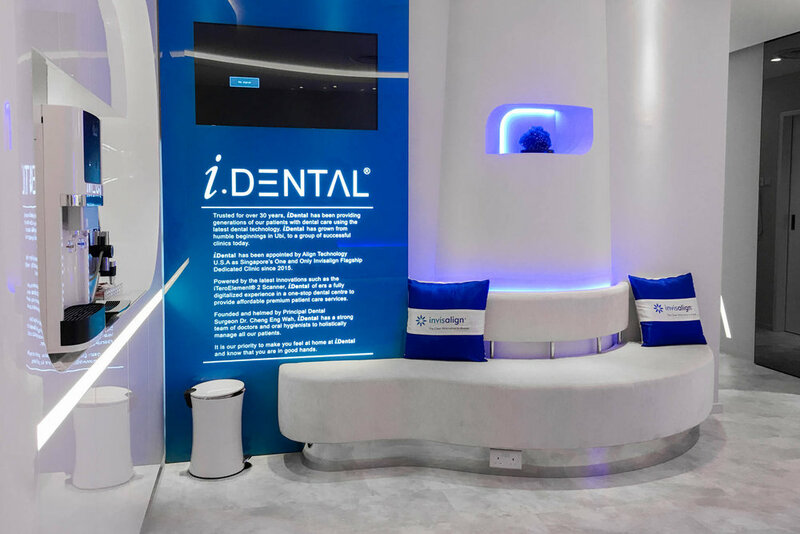 In fact, my visits to i.Dental are down to once every two months now - and with the appointments being flexible to my schedule, I can usually plan ahead which days I’ll be in town for events and would pop by for a quick 15-30 minute dentist visit at iDental! If you’re wondering how’s my daily life with Invisalign, I’d say it’s pretty much the same as before except I now take a couple more trips to the toilet to rinse my aligners before meals! Here’s a breakdown of my life on a daily basis! 9am: I wake up to wash up and get ready for the day! I remove my Invisalign aligners that I’ve worn overnight, brush them lightly with a toothbrush and proceed to brush my teeth. Once that’s done, I pop my clean aligners right back and proceed with my day! 1pm: Lunch time! I remove my aligners and give them a quick rinse before keeping them in my aligners case. I head out for lunch, come back, rinse my mouth (sometimes I just rinse by drinking water lol) and pop my aligners on! 7pm: Dinner time! I head to the washroom to remove and wash my aligners after ordering food (efficacy at its best!) I get it done most of the time before my food arrives anyway. I proceed to have my delicious dinner before wearing my aligners back on. 12am: Ready for bed! I remove my aligners, brush my teeth, wash up and give my aligners a quick rinse before wearing them overnight. And…. the cycle continues! To be honest, other than the occasional removal of aligners to rinse before my meals as well as the initial challenges, I currently don’t have any major changes in my daily life! It took me a couple of weeks to fully get used to having 2 plastic molds in my mouth! Because of the plastic molds, I was also unable to pronounce certain words without a slight lisp! Of course, it’s since improved HEAPS and I can now pronounce every word perfectly normally! The first set of aligners was tough for me to get used to. As I had 20+ attachments (they’re little buttons attached to your teeth to help hold the aligners better for a tighter effect!) on my teeth, it was a lot harder for me to remove my aligners, especially since I was a beginner! It hurt a lot initially but after 3-5 days, it didn’t hurt anymore! Because I like to keep my Invisalign aligners clean, I try to head to a sink / toilet to remove my aligners before every meal and only wear them back when i’m done with my meal! Of course, it’s possible to eat with your aligners on but I didn’t want to risk getting them dirty especially when the particular set of aligners are new! I’ve realised that they tend to get a little yellow if I eat food like curry, coffee etc. However, this isn’t a big issue because I change my aligners every two weeks, which means I get to wear BRAND NEW aligners! I found it a little difficult to remove my aligners initially due to the soreness, but it’s no longer an issue for me now as it’s a breeze for me to remove them within 10 seconds! Not that I have any dietary restrictions because food doesn’t get stuck on my teeth! This is one of the big reasons why I would always opt for Invisalign compared to traditional braces, because I can always remove my aligners and eat normally. With every new set of aligners however, I tend to avoid crispy or ‘hard’ food because my teeth might feel a little more sore that same day. This soreness usually goes away by Day 2! It’s recommended to wear your aligners for at least 22 hours a day, with the remaining 2 hours used for eating! This means you have to wear them to bed too! Of course, it took me a few days to get adjusted to wearing my aligners to sleep. However, they haven’t caused much discomfort in my sleep so far! Because of how comfortable and virtually invisible it is, I've never actually noticed a HUGE difference in the alignment of my teeth until I put together this collage of my progress the other day! Now that I’m at Set 14, it’s really hard to imagine I’ve ever had such crooked and misaligned teeth! For a start, my teeth are now much more symmetrical! Notice how the ‘centre line’ of my upper set never used to match the ‘center' line’ of my lower set, resulting in a non-symmetrical alignment? My lower set is also significantly straighter and more even, despite me not noticing how misaligned it is before as I’ve always thought my lower set was pretty decently aligned! The biggest difference I’ve seen is of course, the major overbite of my upper set. I used to have bunny teeth but they’re now straighter than ever, and will continue to straighten as I move on to the next few sets of aligners! I’m really excited to see the end results but as of now, I'm already extremely satisfied with the progress! It’s also been extremely convenient since I can straighten my teeth without having to compromise on my comfort. I definitely appreciate being able to eat and drink without restrictions, or having to be worried that food may be stuck to my braces. 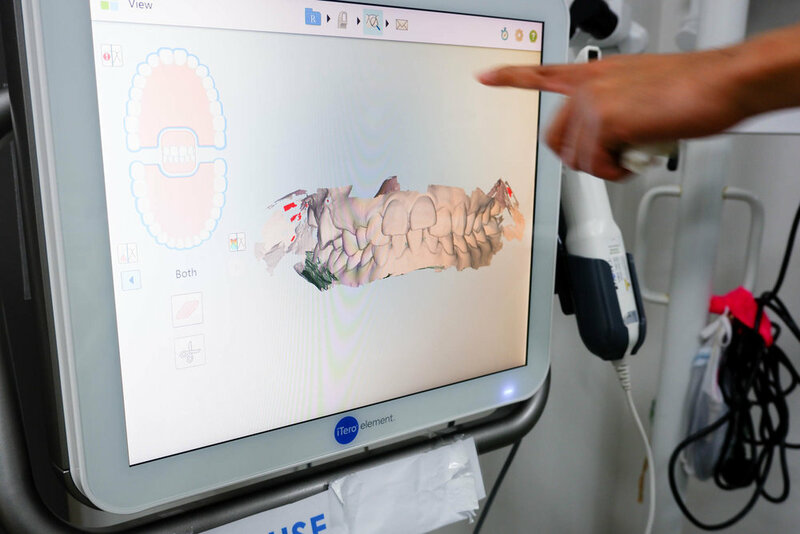 I never knew straightening my teeth could be done so easily and comfortably, as I’ve always thought of it as a painful process - which is of course, based on the true stories from my friends who have had experiences in wearing traditional metal braces. With Invisalign, I’ve come to a realisation that straightening my teeth doesn’t have to be a painful and unsightly process! Getting Invisalign definitely ranks as one of the best decisions I’ve made for myself, and if you’re thinking of getting Invisalign as well, I’d say go for it! If you're interested in getting Invisalign, i.Dental is holding their first Invisalign Day of 2019 where you can consult Invisalign-accredited dentists at only $21.40! Attendees can also enjoy discounted Invisalign packages at $6.8k (price before GST) inclusive of retainers, and this is a flat rate regardless of complexity. I would say this is a pretty good deal if your teeth are like mine! HOW: Simply register via idental.com.sg/rsvp! More updates to come in the next couple of months as I continue on my Invisalign journey! For now, feel free to reach out to me should you have any questions on Invisalign and I’d definitely help you out!